Spanish business associations from the regions of Aragon and Valencia gathered in a massive rally on Sunday 7 October, demanding EU finding for the rail corridor to connect the Spanish Atlantic and Mediterranean corridor via Aragon. This railway is already under construction, but requires support on a European level, the parties state. The march was attended by around 15,000 people, according to Valencia’s local police, and supported by local and regional governments of Valencia and Aragon. The parties claim that the project is not only important to the region, but also to Europe as Aragon is one of the largest automotive manufacturing areas in Spain, housing General Motors, PSA, Peugeot and Citroën. 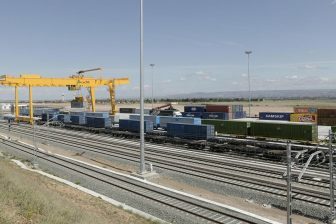 Aragon, which is situated near Zaragoza has called for an updated rail freight connection with the Mediterranean and Atlantic ports to boost its economic growth. In addition, Valencia port is interested in being linked not only with France via the Mediterranean corridor but also with the ports of Bilbao and Santander to strengthen its leading position on the Spanish market. 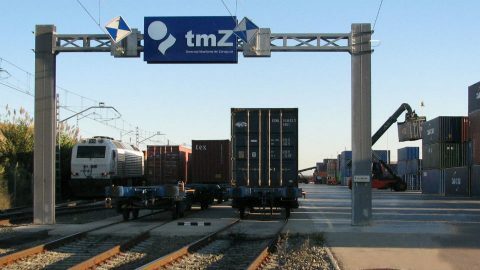 The railway connection is to extend the railway track from the ports of Valencia and Sagunto to Zaragoza. The current rail track between Zaragoza and Sagunto has Iberian gauge (1,668 mm). Valencian and Aragonese governments have demanded a new railway track with European gauge (1,435 mm). The regional governments of Valencia and Aragon earlier agreed to co-invest around 150 million Euros to build several sections of the railway line between Zaragoza and Sagunto. The Spanish infrastructure manager ADIF carried out extensive improvement works on the railway this summer, upgrading eleven bridges and cross-border rails. As a result, freight trains between Teruel and the Port of Sagunto are able to carry up till 22.5 tonnes per axle. Regional governments are also iincreasingly taking the lead in the completion of the Mediterranean Corridor. This core network corridor connects the Spanish coast to France, Italy, Slovenia, Croatia and Hungary, covering a distance of more than 6 thousand kilometre. 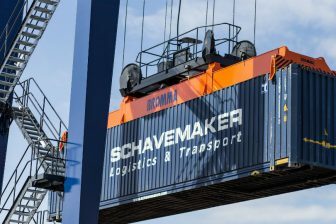 However, the government has only moved on with the completion of the Spanish part of the corridor at a slow pace, to the frustration of shippers in the region. 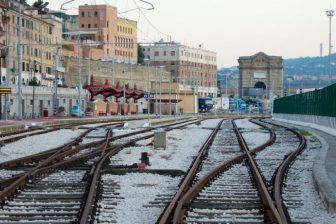 The Spanish government has prioritised the Mediterranean corridor, but since the economic revival (2017 onward) has favoured improving the railway connecttions to areas such as Aragon and Extremadura. For example, it is designing a rail freight corridor between Madrid and Extremadura via Ciudad Real and Puertollano, both in the region of Castile-La Mancha. Thus, there will be a corridor between Valencia and Sines (Portugal) ports.